This blog post was written by geocaching veteran, Geocaching HQ employee and purple enthusiast, MissJenn. Are you one of the people who recently received a souvenir for completing one of these official GeoTours? Congratulations! We hope you enjoyed the surprise. Do you have questions? We have answers. Are you a person who has never been on a GeoTour? We have answers for you, too! Souvenirs are virtual pieces of art displayed on your public profile. GeoTours combine geocaching and travel to uplevel your vacations. With this latest update, we’ve combined them for a WIN-WIN-WIN combination! Today players around the world are receiving a souvenir for any live GeoTour they have completed. Pack your bags! The hardest part will be choosing which GeoTour to do first. GeoTours are official collections of geocaches that serve as self-guided, themed tours around historic sites, parks, cities, and more. They are often sponsored by local tourism boards, historical associations, or national park systems. Local experts pick out the best places to visit. Players using the official GeocachingⓇ app while on location enjoy the dedicated section that makes GeoTour completion easy to track (see image above). How do I qualify for a GeoTour souvenir? Find all active and temporarily disabled caches on an active GeoTour to earn their unique souvenir. Archived caches are not part of the requirement. One of the caches on the GeoTour was disabled when I was there. Do I still get the souvenir? Sorry, but no. You have not completed the GeoTour. You’ll have to try the cache when it can be found again. We understand that a return trip to that location may be difficult. What is the “acquired on” date? The “acquired on” date is when you receive any digital souvenir. Although you completed a GeoTour sometime between 2012 and May 21, 2018, the “acquired on” date will display as May 21, 2018 and cannot be adjusted. If you complete a GeoTour after today, the “acquired on” date will be the actual date that you complete that GeoTour. The total number of caches on a GeoTour may increase or decrease over time. Your friend who completes the GeoTour at a different time than you may earn the same souvenir by finding a different number of caches. You’d both get the same completion souvenir. I own some caches on a GeoTour. How can I get that souvenir? Will you make a souvenir available for completing GeoTours that used to be listed in the directory? Our goal is to offer a souvenir for the completion of every GeoTour. We will decide about now-retired GeoTours based on the initial roll out. Please note: it may take a few hours for your GeoTour souvenir to appear in your Profile for GeoTours you have completed in the past. Both Basic and Premium members can find and log GeoTour geocaches of all types and difficulty and terrain ratings! See the Premium vs. Basic membership features chart. Discover the possibilities at our global GeoTour directory. 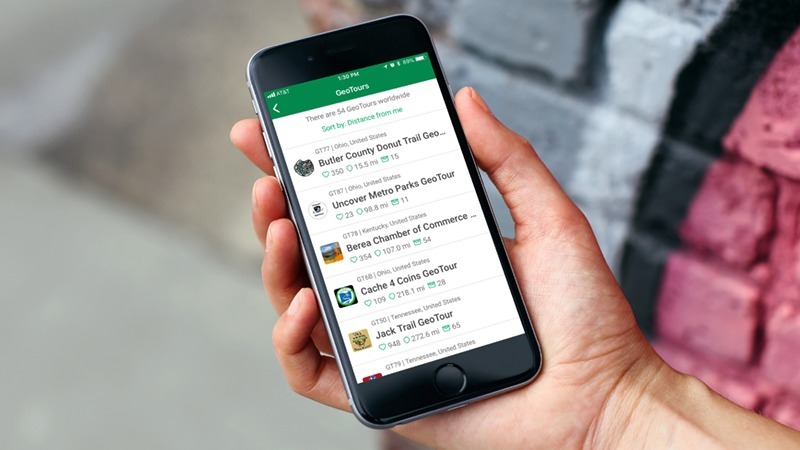 Plan with interactive maps and use the official GeocachingⓇ app while on location. 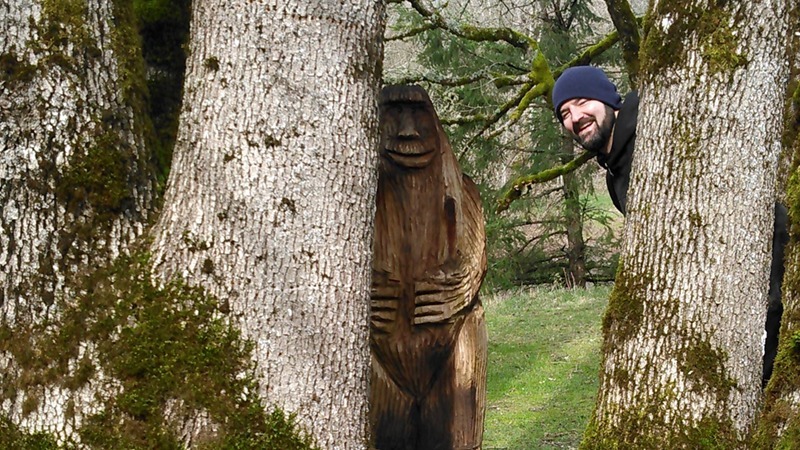 SamuelStem found a geocache *and* The Shy Bigfoot while on the Bonneville Bigfoots Search GeoTour (GT3E). What might you find?